Crassula is an indoor succulent plant family that displays surprising evergreen leafage. It shows up in more and more places for its very trendy ornamental value. Caring for it is something anyone can succeed in, even though to keep it beautiful these tips will be very useful. 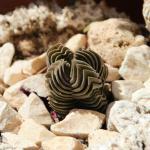 Crassula is most often native to South Africa and adapts well to mild climates. It is preferable to grow your crassula indoors if you expect freezing over the winter. Indeed, the slightest frost would kill it. You may repot your crassula just after having purchased it if you’ve purchased it when not in flower, but pots for this plant are usually designed for at least another two years of service before growing too small for the plant. After that, an annual repotting whenever your crassula looks like it is in a tight fit is recommended, with soil mix and sand, one part each. Crassula can only survive outdoors in winter in regions closer to the equator. If planting outside, prefer full sun exposure. Crassula can be propagated by preparing cuttings from young stems. It is usually quite easy to get the crassula to sprout roots. Slice off young stems with a sharp and disinfected blade. Plant the young cutting in special cutting soil mix. Ensure the soil stays a bit moist (water only when it has turned really dry). Keep your cutting near light, but not in direct sunlight. It requires a lot of sunlight. Water as little as you dare because this is a plant that stores water in its leaves. The soil must stay rather nutrient-poor, no fertilizer is needed. Prune your crassula when the branches get old or look weak. The pruning is preferably performed after the blooming. Avoid cutting more than ⅓ off each branch, and, this is important, leave at least a few leaves on each pruned branch. During the blooming, 1 to 2 watering sessions a week, when the soil has dried well. Apart from the blooming season, 1 to 2 watering sessions a fortnight. In winter, light watering 1 time a month is largely enough. In any case, it is important to wait for the soil to have dried well before watering, in which case it is also better to water once rarely with a significant amount rather then having many smaller watering sessions. BE CAREFUL! Leaves from succulents are loaded with water. If they start collapsing or drooping over, it shows that a new watering session is due! Crassula varieties are numerous and varied. There are hundreds of them! 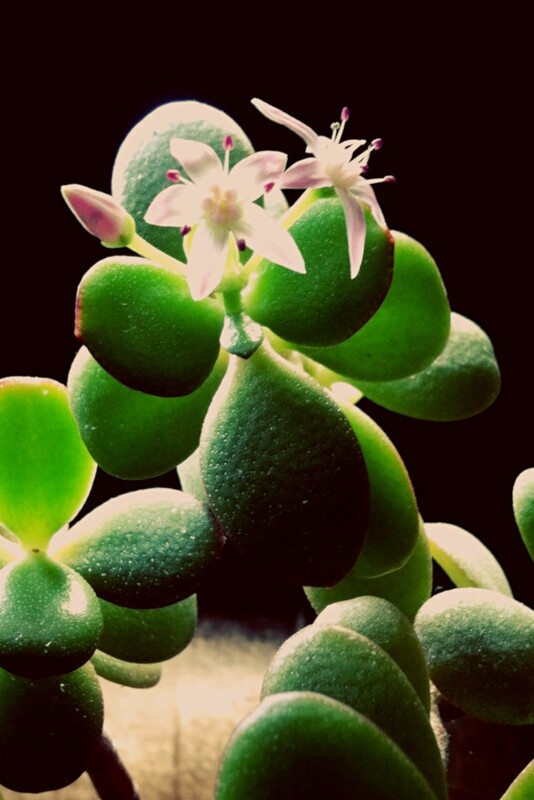 The most famous is Crassula ovata, also called the Jade tree. It has many distinctive cultivars that breeders have selected. Crassula perforata, which bears long skewer-like twigs with oval leaves. Crassula helmsii, that grows in extremely wet environments and is frost-hardy. 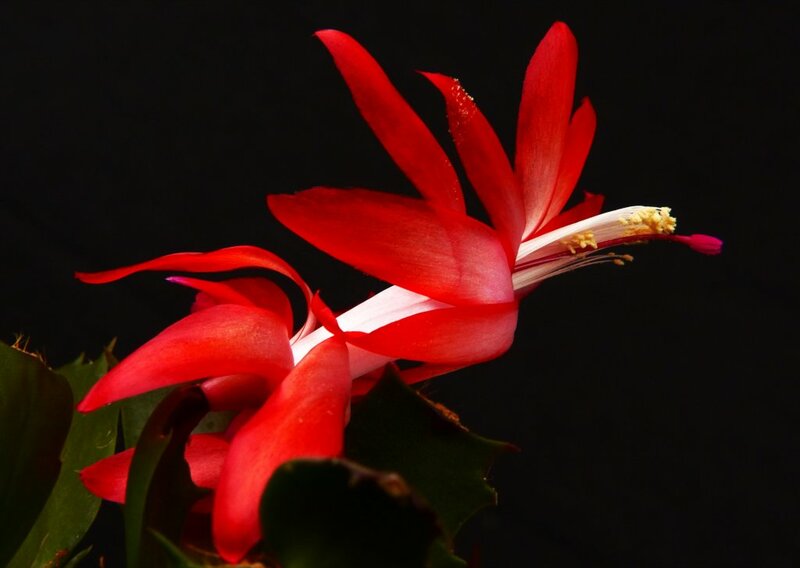 On top of this, many fascinating hybrids exist that rival in color, shape and bloom for the greatest pleasure of all succulent fans! 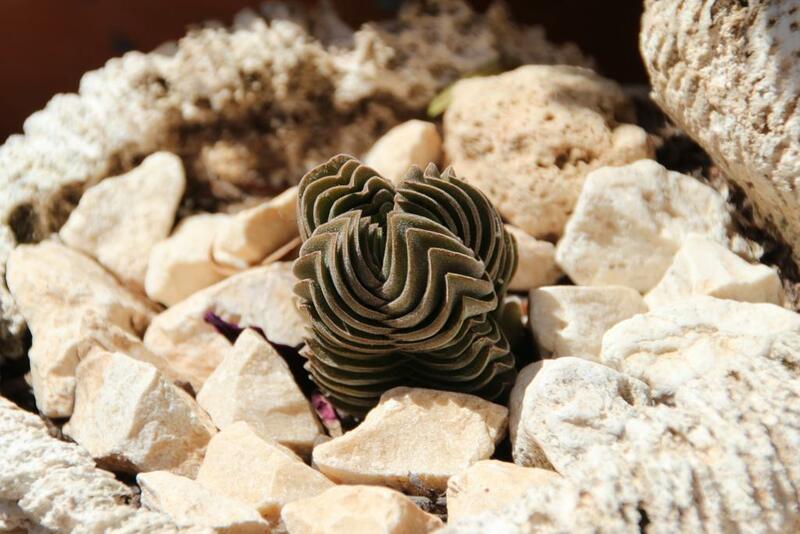 Buddha’s Temple, with thin, stacked, mesmerizing leaf patterns. It’s a recent hybrid of C. perfoliata and C. pyramidalis. Native to either South Africa or Mexico, depending on the variety, Crassula is a very beautiful succulent with particularly appealing leaves. With its reduced need for care, it poses practically no difficulty to the caretaker. Although excess water is what most often kills it, it also like having a lot of light, but not scorching direct sun, as when behind a window. 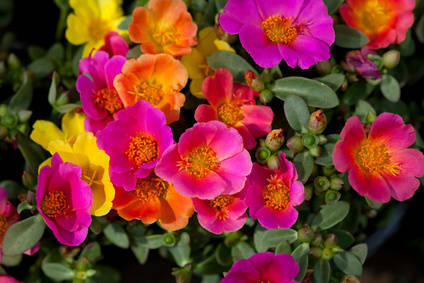 You can set it in a pot or a garden box, along edges or on rocky ground. If ever you mistakenly break a leaf off, simply rest it atop soil and mist it from time to time. It will sprout roots and give rise to a new plant!